Before I go breaking any hearts, warning, there will be spoilers ahead! Kingdom Hearts is a series confusing even to it’s more die-hard fans, but die-hard fans it has aplenty. It’s been almost two decades, and now a dozen different installments, but we finally have the conclusive(?) game we’ve been waiting for. And oh my gosh what a beautiful game it is. 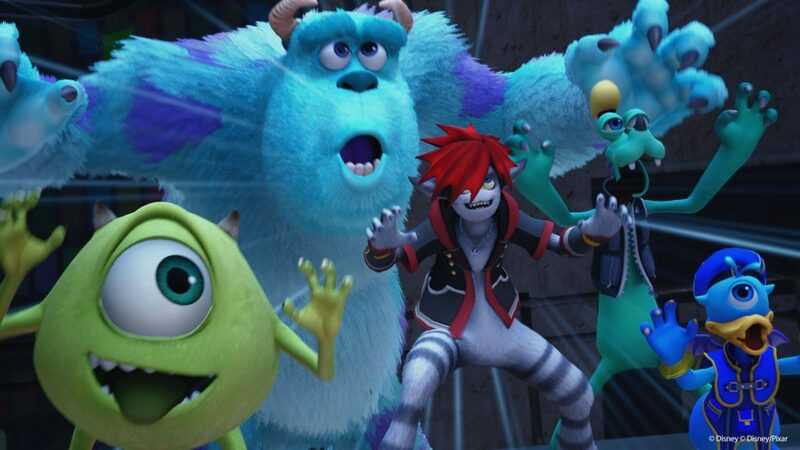 Pixar and Square Enix have teamed up to deliver something genuinely magical here, if not a little difficult to follow. 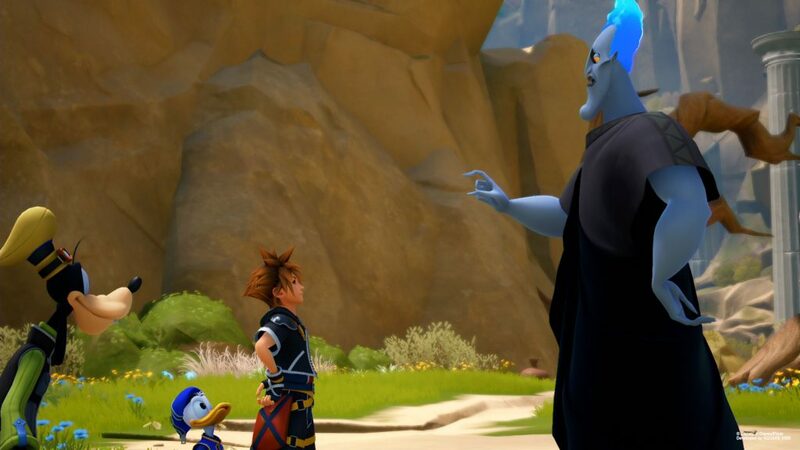 Sora has lost a great deal of his strength since almost being lost to darkness in Kingdom Hearts: Dream Drop Distance and is sent out to reclaim what’s missing. He will be joined, of course, by his good pals Donald and Goofy. They embark on a quest from one breathtaking world to the next, meeting some of your favorite Disney characters along the way. Without a doubt, this game is visually stunning. The care and attention put into each world shows. Pixar worked alongside Square Enix to create worlds that look exactly like they do in the films. Each world is unique, and even after the credits roll there are plenty of reasons to revisit (If not just to hang out with Woody and Buzz). Mini-games, secret bosses, and hidden collectibles just to name a few. To get between these worlds, you will need to fly around in your Gummi ship. I was pleasantly surprised to see it return, and the new open world feel was thrilling. The ship combat is still on rails, like in Kingdom Hearts 1, but it’s nothing to complain about. Customize your ship with dozens of different parts, paint jobs, stickers, and even ornaments to create something wholly unique and special. Your loving Disney characters aren’t the only ones running around these beautiful worlds. The evil Organization 13 is still working hard on carrying out Xehanort’s plot, and somehow you and your friends all fit in there. Heartless, and other manner of baddies, will try and stop you along the way. Luckily Square Enix learned from Final Fantasy 15’s terrible mechanics, as combat here is just as great as the visuals. Fast and flashy, but fluid and fun too. I never felt frustrated, or bogged down by too many layers of different mechanics. Leveling up feels rewarding, and with each level comes new and impressive powers. Keyblades and magic can transform into more impressive versions with multiple uses, and team up attacks with Disney Characters is a fun way to take down enemies. Of all the abilities, the more unique and flashy ones are the Attractions, which take some of Disney’s most famous rides and turns them into darkness killing machines. Ride around in Teacups spinning through battlefields, on the Pirate Ship tossing enemies around as it spins, or take bumper cars for a spin while you shoot down Heartless with blasters! 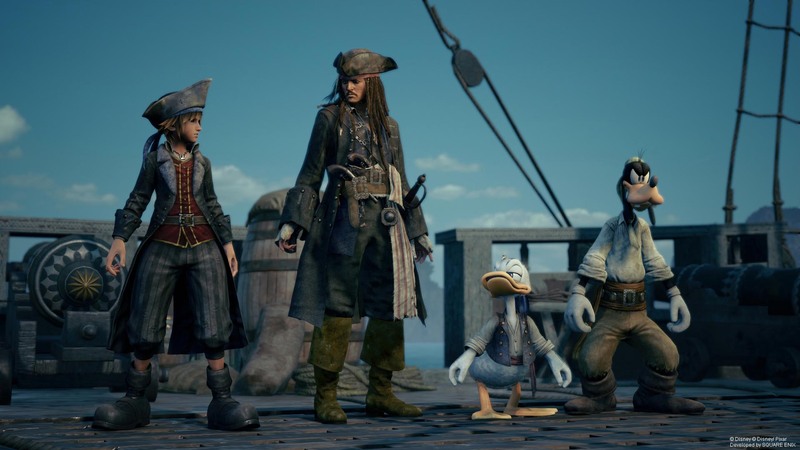 Where Kingdom Hearts 3 falls short is in its ability to tell a story. It’s so wildly varied in moments of good and bad storytelling that you find yourself disheartened when you just don’t understand. Its plot is one full (overflowing) to the brim with lore, but it conveys that story in muddy, awkward and confusing ways. This is particularly sad with a few of the Pixar worlds, as Pixar does such a fantastic job of telling touching stories. Take the film Frozen for example. The terrible Hans is set as the villain in both the game and the movie. For whatever reason, the game saw fit to give him no voice or dialogue at all. He does terrible things, turns into a big bad wolf Heartless, is beat down by Sora and the gang, then vanishes. The game never explains to the player who Hans is, or why Anna is leaving Kristoff for him. Essential parts of the plot are described briefly, or utterly missing because Sora is too busy falling off the mountain for the third time. Had you not seen the movie, you would be lost entirely. Complaining that I didn’t get the full Frozen experience sounds ridiculously childish, but when you take into consideration that they had time to put in not one, but two of the films biggest musical numbers, you have to wonder what the primary focus was. Despite a few rocky moments many of the themes of these worlds blend with Kingdom Hearts’ plot so well that watching them go hand in hand is an unforgettable experience. When it ends, and the credits roll, you may or may not be satisfied. There are still many things left unanswered, and the secret ending only served to leave things more open-ended. Despite knowing how confused I’ll be in the future, I can’t wait to see what’s in store for Sora next. I give Kingdom Hearts 3 8 half-pints out of 10.